Salman Khan might be known for his histrionics and of course style, but there more to the actor than meets the eye. According to our sources, Salman has a keen sense of music and he his showing his musical side in his upcoming film READY. 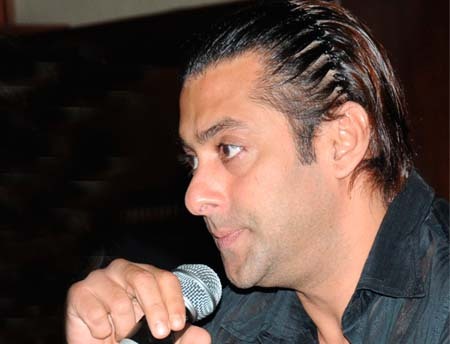 Talking to reporters, an insider revealed, “Salman Khan is showing big interest in the composition of his next film. Sallu Bhai is seen composing with Pritam on the sets of the film. Since, Ready will be Salman`s first release post Dabangg, the actor is making sure that the music of the film captures the heart of his audiences. For this Salman is personally getting involved in the making of the music for Ready." The handsome and eligible bachelor does have an ear for good music and this was quite evident from his deep involvement with the participants on the sets of a singing reality show while he was promoting his film Dabangg.